Our goal at Riverwood Gardens is to offer our clients outstanding customized floral and plant installations, amazing florals for corporate events, stunning holiday/seasonal designs and personalized floral gifts custom designed and branded for your company. Riverwood Gardens will ensure you have the right finishing touch to set the appropriate tone for your business. In addition to the initial installation, our qualified plant care technicians work quietly and efficiently to make sure your flowers and plants are thriving with our weekly, bi-weekly, or monthly ongoing maintenance programs. Currently serving the Greater Toronto Area, Ottawa and Gatineau. IMAGINATIVE PLANTINGS AND CREATIVE DISPLAYS. Our extensive design background adds flair, style and creativity to all of our installations. Riverwood Gardens offers full service interior and exterior plantscapes, Holiday or event design installations and ongoing floral subscriptions as well as maintenance for your existing or new installations. We work with our clients to implement the perfect look and environment for your work space and clientele along with the appropriate décor for the season, event or holiday. Since a beautiful landscape needs care and attention, Riverwood Gardens offers maintenance packages to keep your exterior spaces looking their best all year round. Gardens are valuable additions to terraces, patios, rooftops, and entryways. Our team is experienced working on container design and planting with shrubs, grasses, perennials, and annuals during the warmer season,as well as cut greens, berries, branches, and various frost tolerant plants and greenery. We have developed the Riverwood Gardens Signature 4 Seasons Decorative Planting Program to exceed your expectations all year round. Welcome the end of Winter with vibrant blooms and fresh branches. Create a unique autumn look with warm colour and textures. Creative designs of local and imported greens celebrate the season. These displays look amazing until the Spring thaw. Conference table centrepieces, exhibition stand plants, special promotion bouquets, product launch flowers, are only a few of the services we are able to provide for you. We will work with you to produce the perfect solution for your special event. It’s the cumulative effect of your ideas and needs combined with our creative details and designs which allows us to present a fluid and bespoke corporate event. Every accent is important to our designers and we look forward to presenting a seamless client experience from delivery and setup, right through to cleanup and disposal services. Click below to fill out the form and we will be in touch! Into which industry does your company best fit? Does your event have a theme? If so, please provide details below. How many florals will you need and where will they be placed? Are there any sensitivities or allergies to specific flowers, pollen, greens, or scents we should be aware of? If you are looking to add some life to your business or workplace, Riverwood Gardens can help. We provide a weekly corporate arrangement service that provides floral decor of all shapes and sizes. 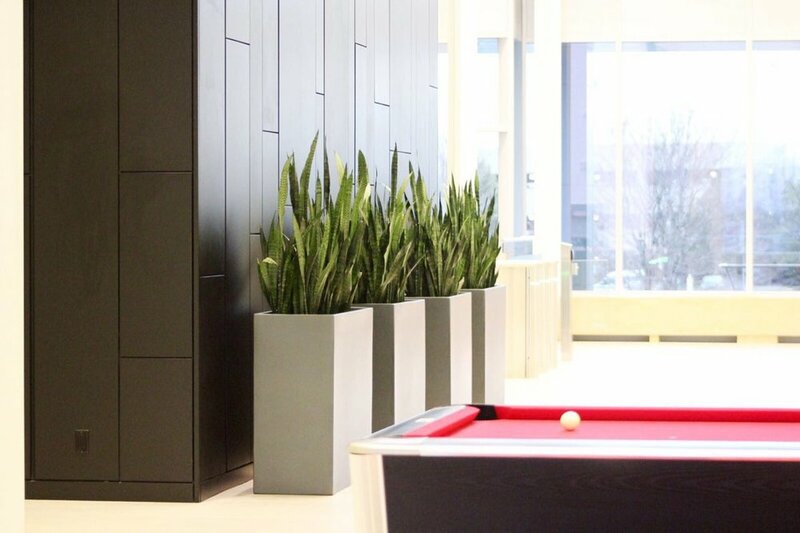 From offices and meeting rooms to restaurants, even washrooms and outdoor spaces, no space is too large or too small for flowers. Fill out the form below for more information and we will organize to send you a complimentary trial arrangement. That's right, the first one is on us! How many arrangements are you looking for? Do you have a specific colour scheme in mind? Would you prefer a fresh-cut arrangement or a planter?